It has more than 2,000 comments already. “This year my resolution is to love myself… just as I am, all fucked up and imperfect and whatever else,” reads the caption on her selfie. Already, Kesha’s pic has garnered more than 450 thousands likes on Instagram, and another 9,000 retweets and 2,000 comments on Twitter. “Yasssss Queen,” reads one comment, while another echoes, “Yes it’s time to love ourselves! Also, I love YOU!” Aside from the thousands of supportive comments, fan have also begun uploading selfies of their own freckles in solidarity, along with sharing their own insecurities that they’ve learned to embrace. I’ve as many/more freckles as you! I was so embarrased as a little girl. My daddy said some day they’ll blend into the perfect tan 🙁 I just think how different it would be for us if one of our idols would have gone natural! How many “imperfections” would’ve made us feel perfect. 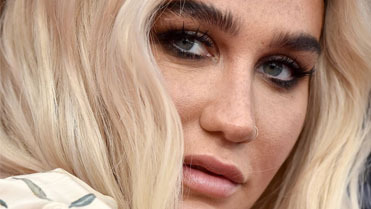 This isn’t the first time Kesha has ever taken a minimal-makeup selfie—she posted a similar photo in August of 2018—but it is in line with the newer, rawer the singer has been slowly showing the world over the last few years. And hey, if embracing yourself is this year’s new trend, I think we can all get behind that.